Active Areas (or multiple active areas) can be created in any view. 1. 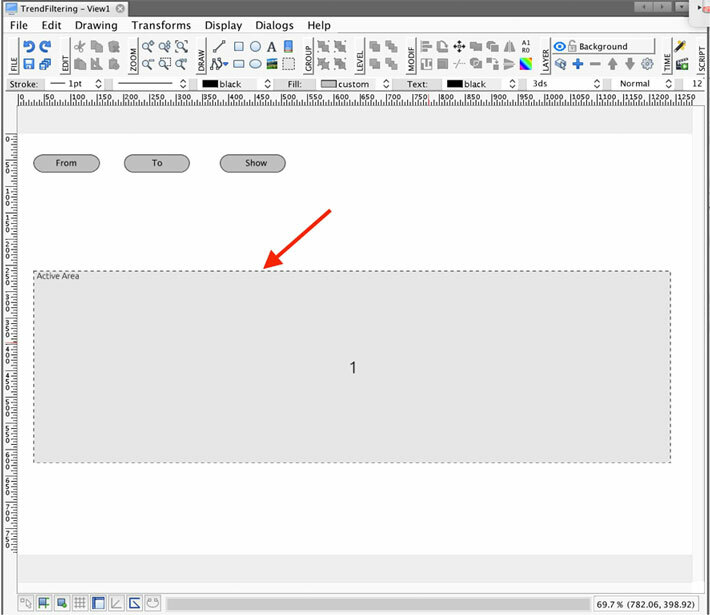 Click on the Active Area icon in the GUI Toolbar. 3. Click on the Init State in the Properties window and select the content you wish to display. In this dialog, you can set up the type of Active Area. 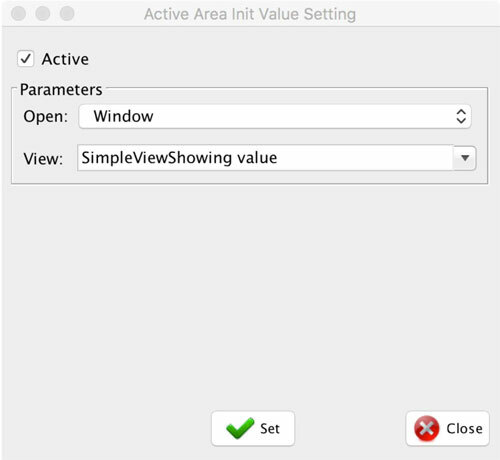 In other words, you can set up how the Active Area will be initialized when the view is shown. Note: If you do not activate the initial state (e.g. you leave the Active check box unchecked), the Active area will not be visible. You can set a new state later when using open command. If you select this option, you can specify the view to be shown in the active area. You can display any view you have previously designed. For best results, use a window with the same resolution or at least the same aspect ratio as your active area. If you need to change the active area size to an exact width and height, you can do so in the Properties window. TIP: If you specify the option “Previous View,” open command will jump back to previously open window. 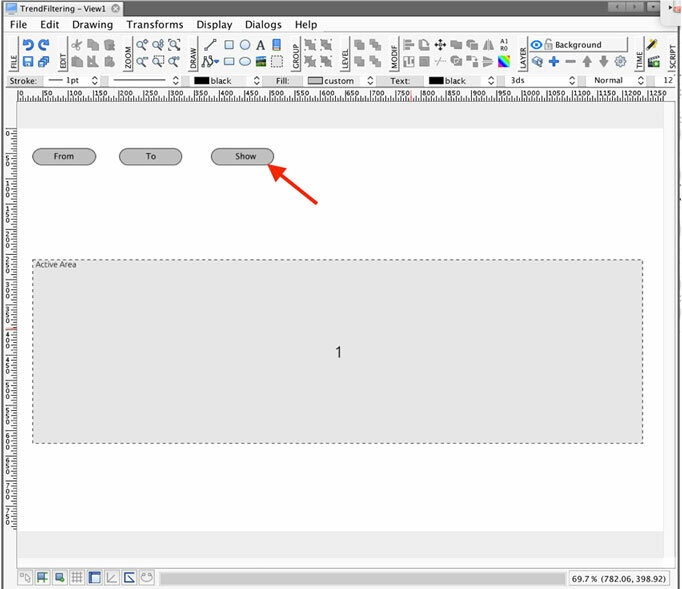 If you select this option, you can specify the parametric view to be shown in the active area. You can display any view you have previously designed. For the best results, use a view with the same resolution or at least the same aspect ratio as your active area. If you need to change the active area size to an exact width and height, you can do so in the Properties window. 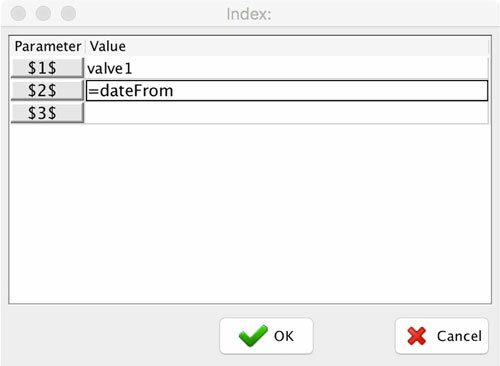 Aside from the Parametric View name, you can also specify the Indexes and Connection indexes. 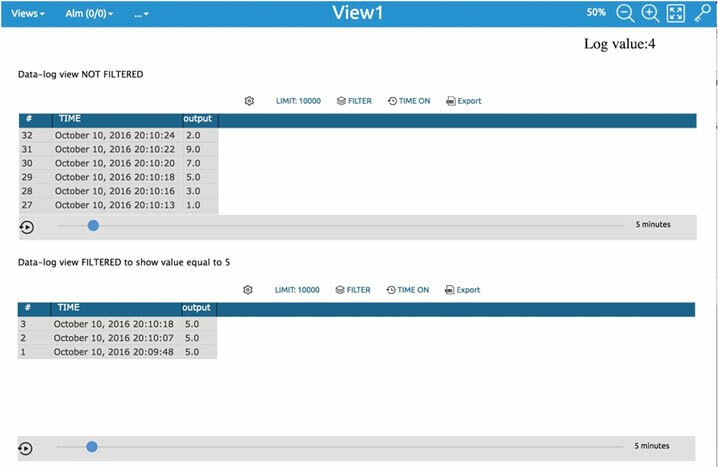 For more details on how to deal with parametric views, please see chapter Parametric Views. 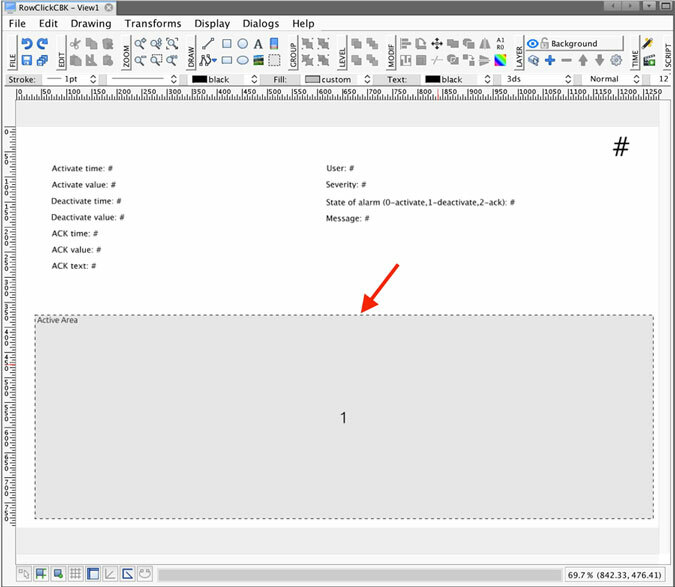 You can show a PDF document linked to the project in an active area. 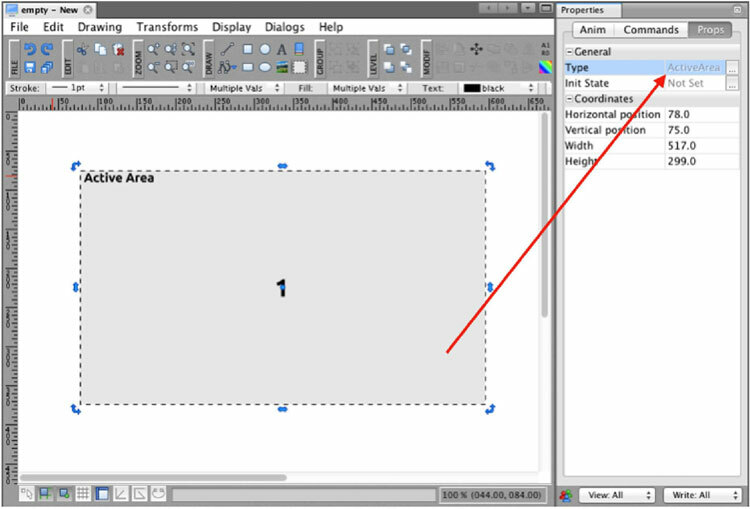 The PDF document will be automatically scaled to the size of the active area. 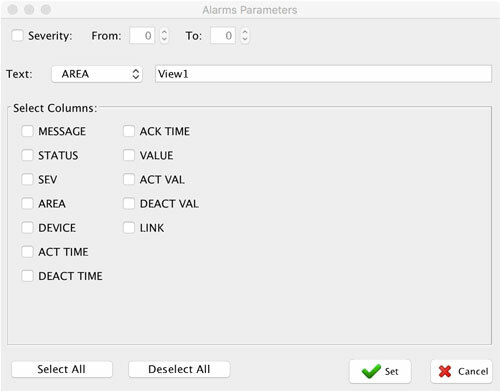 This feature can show online alarms and alarm history in the active area. 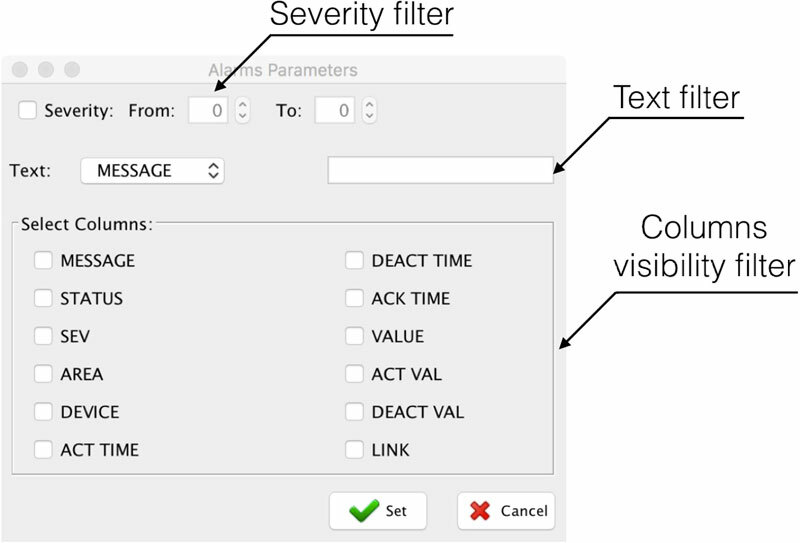 There are several parameters you can use to set up the specific visual appearance of the alarm table that will be shown in the active area. 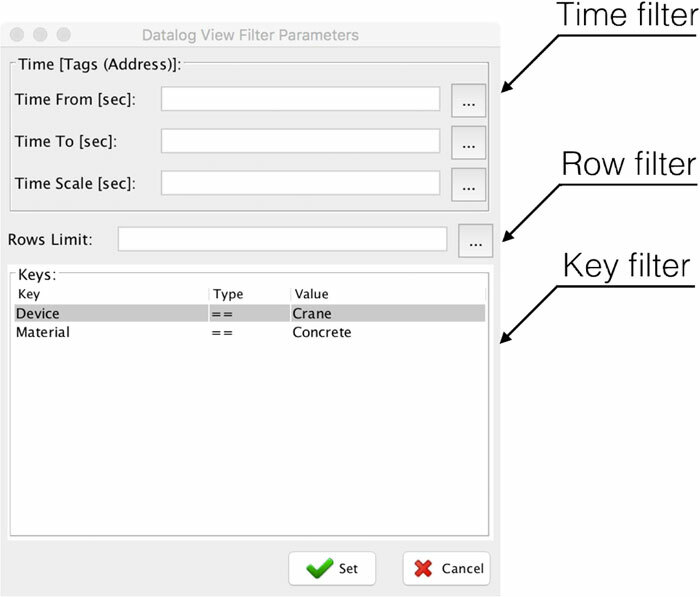 You can also limit shown data using filters. 3. Set up its init state. 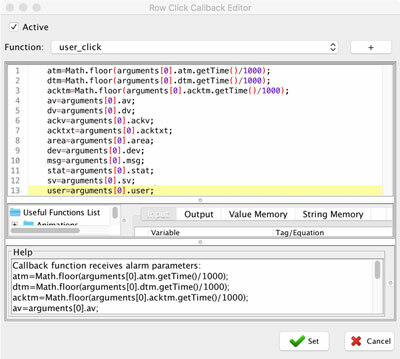 Suppose you have an alarm table shown in the Active area, and you want to detect when a user selects a row in the table. 1. Create a new view and insert an Active area into it. 2.Set up its init state. 4. 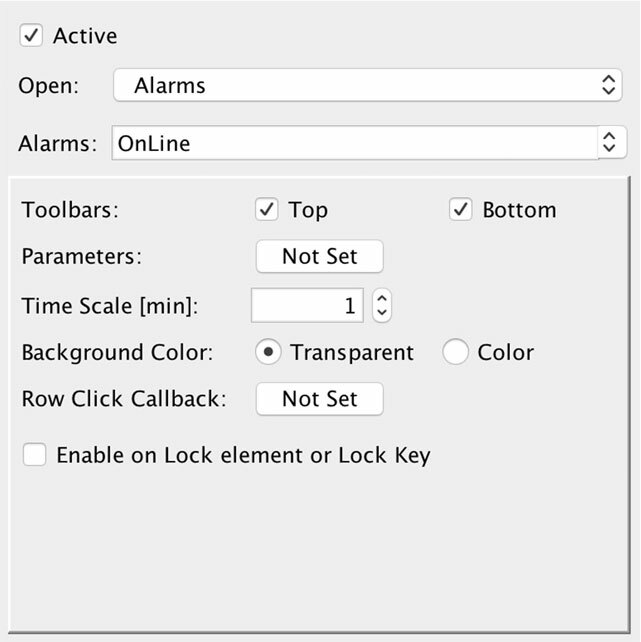 Now whenever a user clicks in the alarm table, the function you have defined will be called. 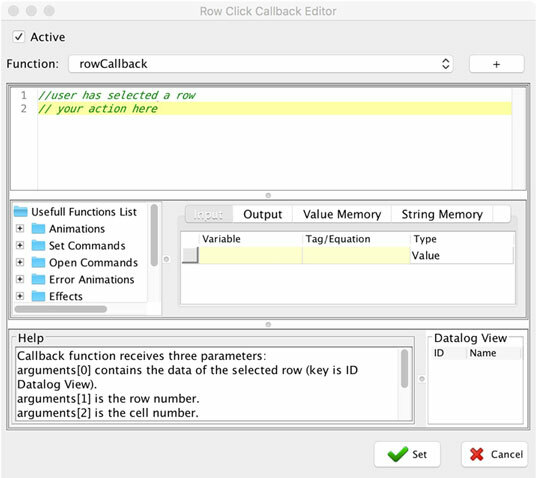 You can retrieve the row and column on which the user has clicked (variable arguments is the row number and variable arguments is the column number). In addition, you will get all values in the selected row; they are in the variable arguments. 5. Now test your view. You can show trends, as defined in the Advanced Trends section. The size of the trend is automatically adjusted to the size of the active area. 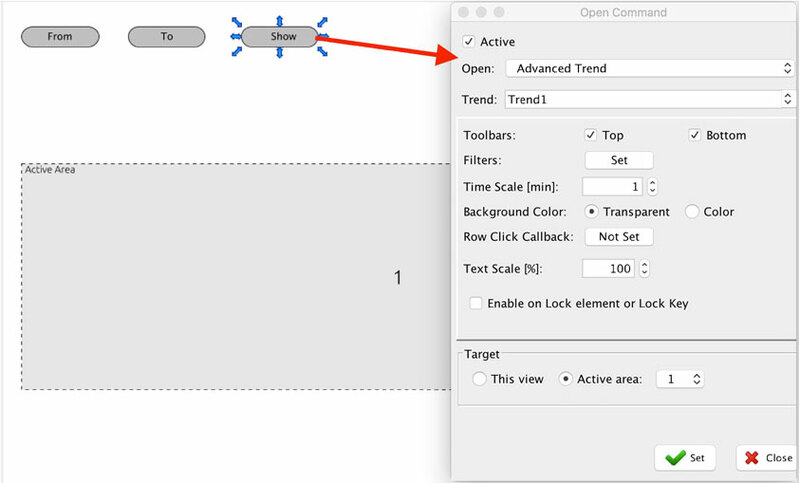 This example demonstrates how to use the dynamic filters in Advanced trend shown in an active area. The goal is to create the simple view with Advanced Trend shown. 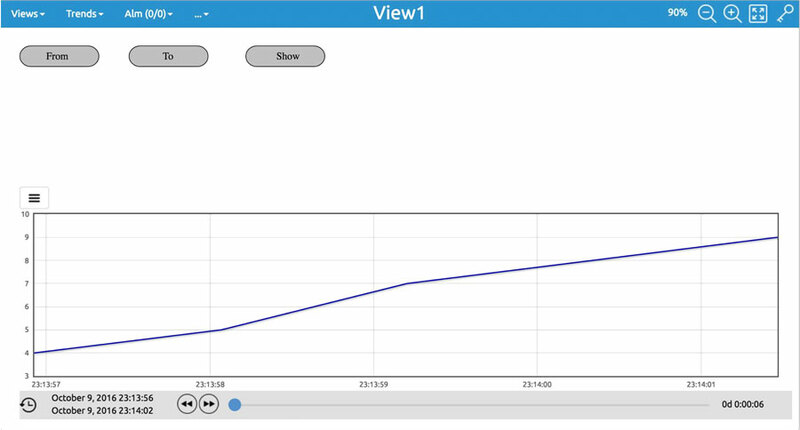 Users can specify the interval shown by the Advanced Trend using multiple buttons. 1. 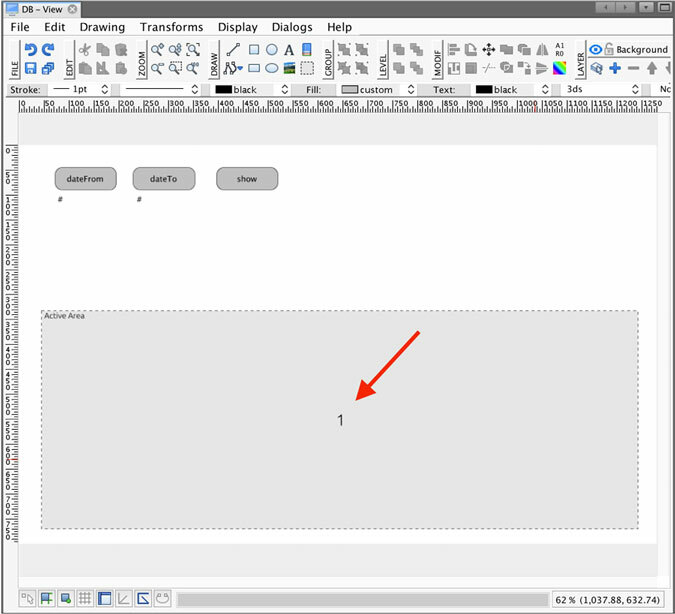 Create View and insert Active Area into it. 4. Each button will set the corresponding variable dateFrom and dateTo to specify the Advanced trend interval. 5. 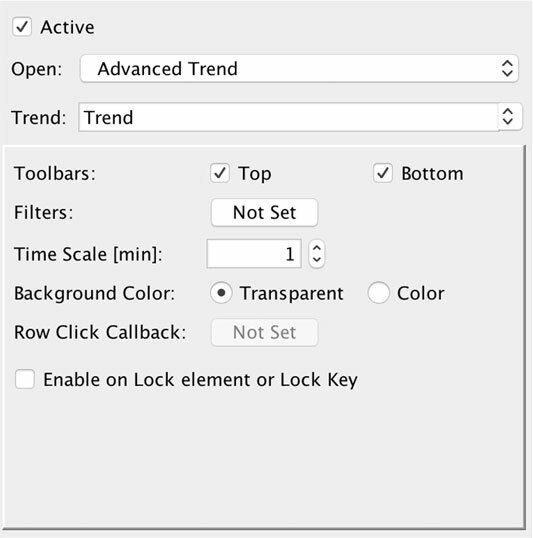 Now set up the SHOW button to open the Advanced trend. 7. 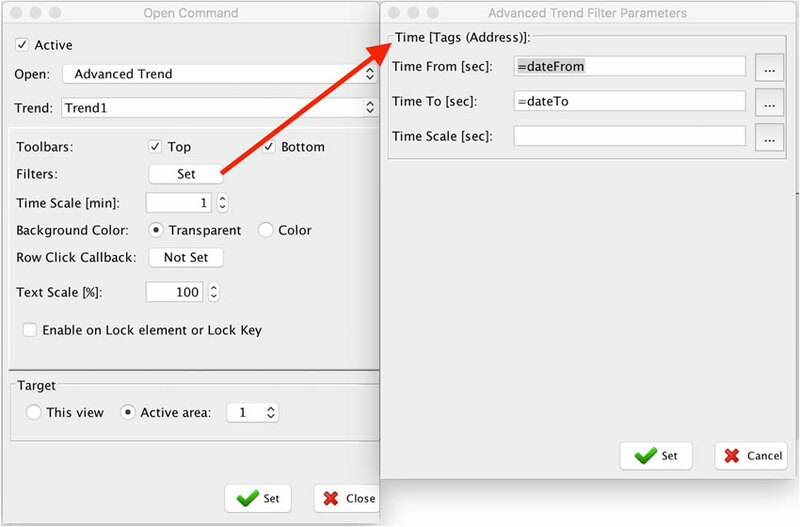 Now when the user clicks on the button, the new time interval is shown in the Advanced trend. 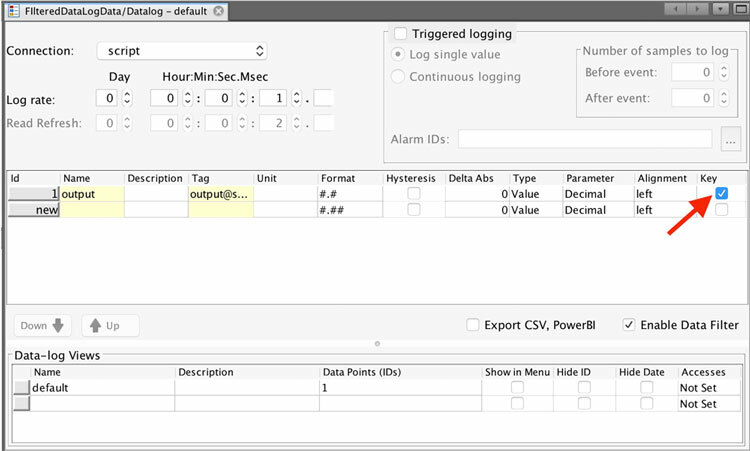 You can show data-log view, as defined in the Data-log section. 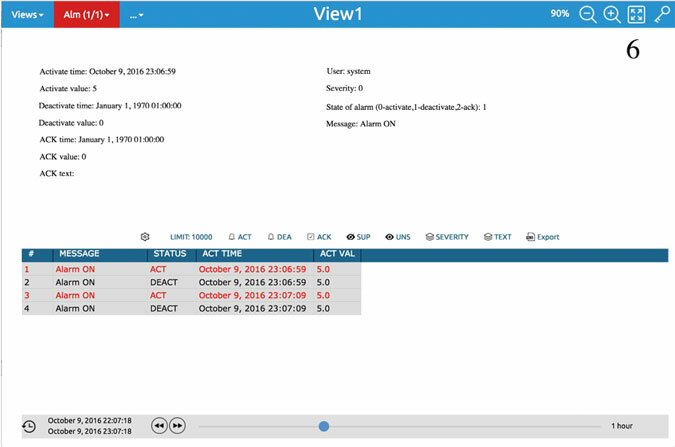 The size of the data-log view will be automatically adjusted to the size of the active area. 2. 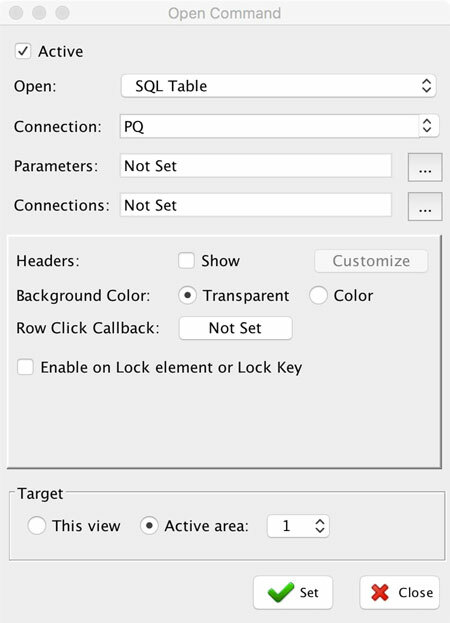 Using Tag: enter the tag value or use “…” button to specify a tag. 3. Using Variable: enter an = followed by the variable name. 2. Create a new view and insert Active area into it. You can show the history of all user actions. 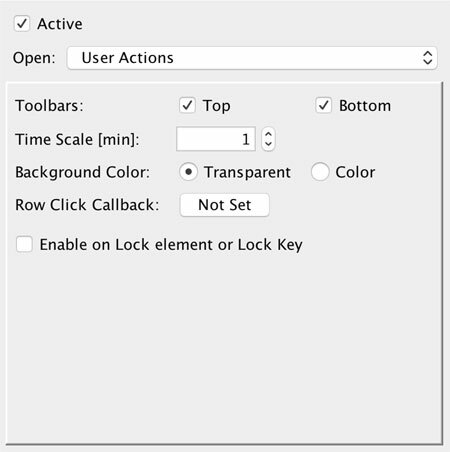 The size of the user actions view will be automatically adjusted to the size of the active area. 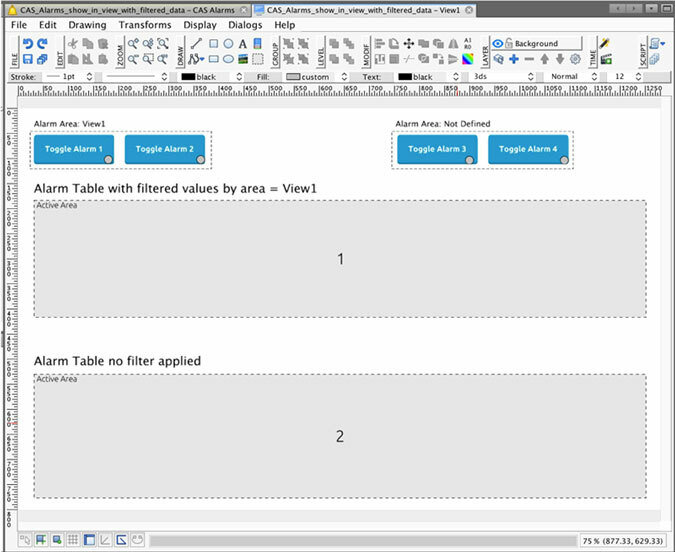 The SQL Table feature allows you to show values from the SQL database in a table. To get data from the database, specify your connection first. In the connection settings, you can modify the SQL selection to suit your requirements. TIP: You can create a new SQL connection specifically for use with this table. 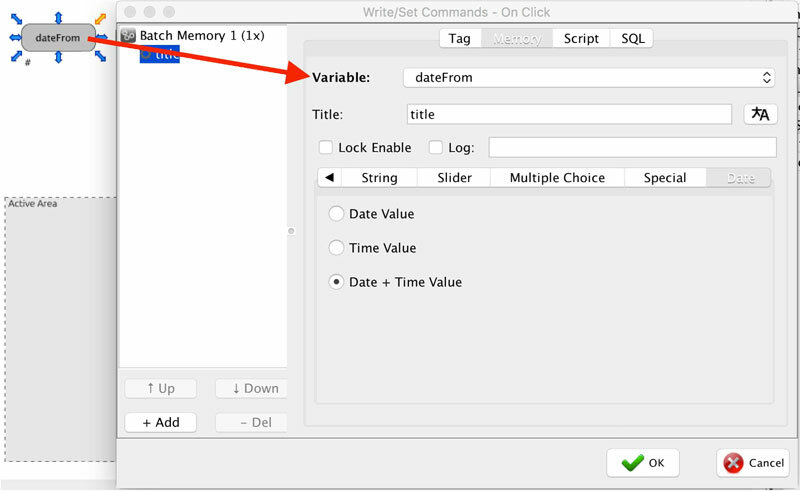 Once is your connection set up, you can use parameters to modify your SQL query. In the Parameters, you can put multiple parameters. 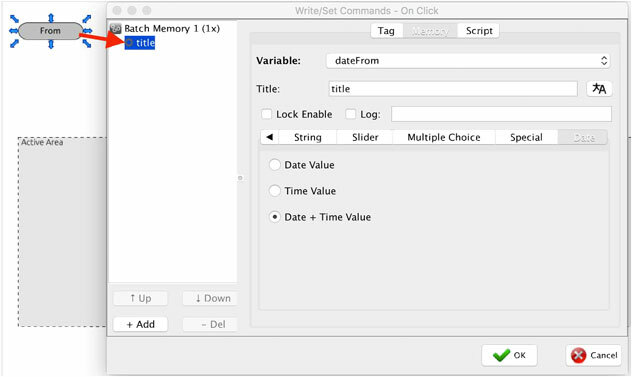 Each parameter can be a constant or you can use tag or variable from View Scripts. 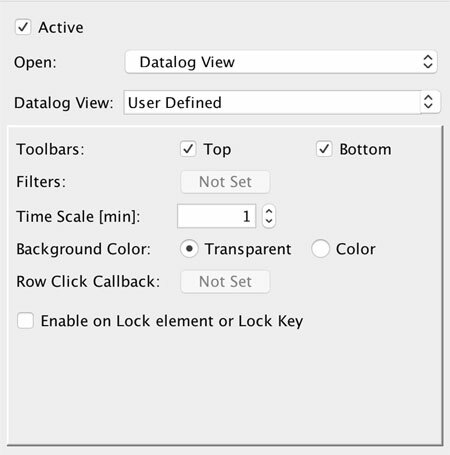 using Tag: enter the tag value or use the “…” button to specify a tag. 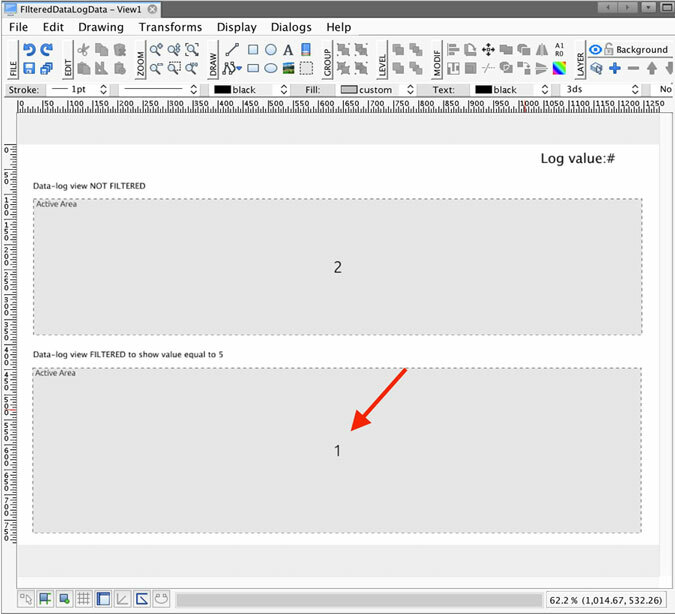 By passing the connection parameters, you can override the connection that will be used to show the SQL table. This option is especially useful if you are working with parametric views. To set your connection parameters, click on the “…” button next to the Connections field. This option enables you to show the header row. 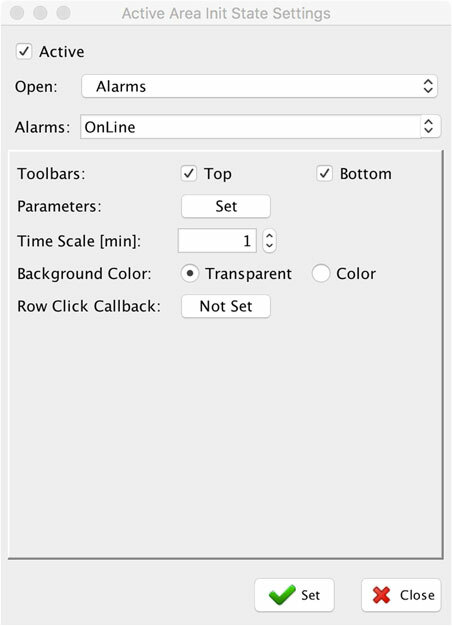 If you select this option, you can fine-tune the parameters by pressing the “Customize” button. 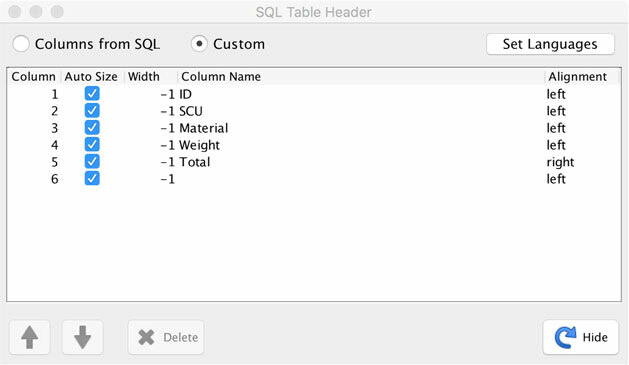 The default option is “Columns from SQL.” If you use this option, your table will show a top row with a description of columns taken directly from the SQL. You can also set custom columns to set up names of columns manually. In addition, with this option, you can specify the Width of the column in pixels. If you leave with=-1, column width will be set to auto-scale. The final option is Alignment, where you can specify whether a given column should be aligned on the left, right, or in the center. The background Color can be set to transparent or to a given color. 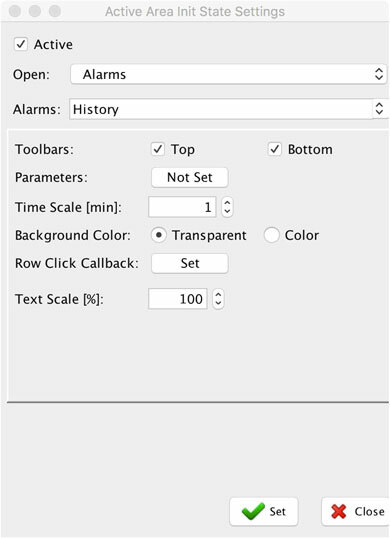 If you set this parameter to color, you can specify which color will be shown as the background. 1. Create a connection to be used with the SQL Table. 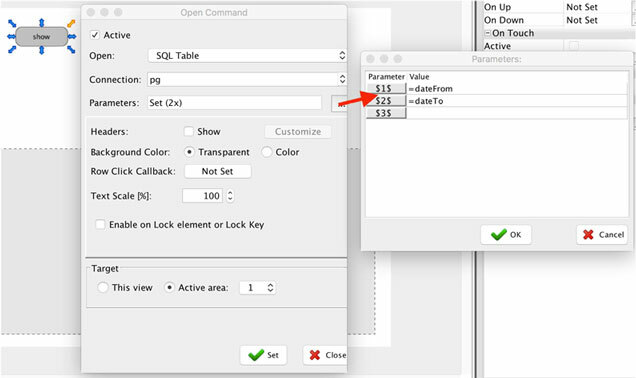 Put $1$, $2$, … into the SQL query whenever you want to replace the parameter. 2. 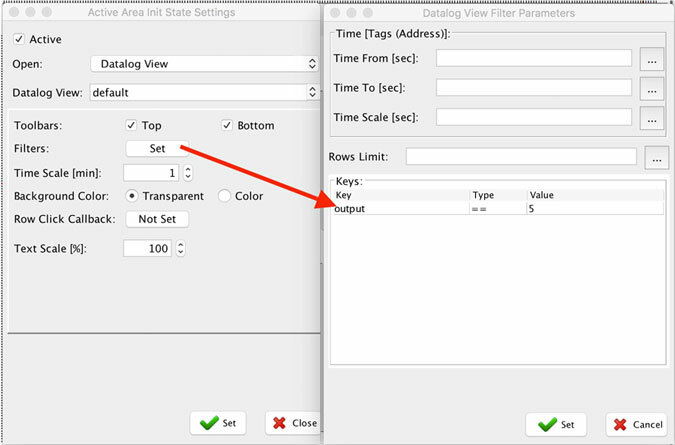 Now set up Parameters and pass those parameters to the query. 1. This SQL command should be specified in the Connection definition. 2. Now create a new view. Insert it into the active area. As you can see, we are using two parameters that are automatically placed into SQL before the readout.